And the winners are... not actually the Twegals with the most followers and the UK only includes England! No Scots Law Twegals (legals who tweet) amongst those unless we include @Charonqc who whilst now living in London hails originally from the north side of Hadrian’s Wall. He may be returning north soon as part of his plan to tour the UK doing legal podcasts in a campervan. Other Twegals on the list may have Scottish connections. I know, for example, that @_millymoo spent some time living in Edinburgh in recent years. However, no currently domiciled Scots Law Twegals appear on the list. Notably absent is Gavin Ward (@GavWard) who with 9,929 followers would potentially top the list. I will look later though at English Twegals, not mentioned by David Allen Green, who do actually top the list. Another well known Scots Law Twegal noticeable by her absence is Michelle Hynes (@legaleagleMHM) with 4,079 followers. Notwithstanding the fact that Scottish Twegals were excluded from this UK list there are also a number of very notable omissions in respect of well known and highly followed English Twegals. Where, for example, is one of the leading lawyers on Twitter, Chris Sherliker (@London_Law_Firm), with a very healthy 13,859 followers. Not far behind Chris, in follower numbers, is Steve Williams (@MotoringLawyer) with 12,858 followers. Slightly lower down the follower scale, but still well above the 3,500 bottom line set by David Allen Green, we have Annabel Kaye (@AnnabelKaye) with 6,835 followers, Chrissie Lightfoot (@TheNakedLawyer) with 4,160 followers and ‘Clarinette’ (@Clarinette02) with 3,632 followers. Thus we already have at least another 7 Twegals (with a follower count of over 3,500) to add to David Allen Green’s list of 9. David Allen Green was clearly too modest to include himself in his list. With 18,693 followers he clearly outstrips all other UK Twegals when it comes to follower numbers. At times, however, David Allen Green’s follower count can change to 2,575 when he switches personalities from @DavidAllenGreen to @JackofKent. I believe the account with the larger following was originally the @JackofKent one. This also shows that the base line need not start at 3,500 followers but can actually start at 5,000 followers. Only 4 of the Twegals on The Lawyer’s original list actually remain on this revised one and none of those are in the top 4. However, as David Allen Green quite rightly says: “a high follower count by itself may not be impressive, and nor is a low follower account a disgrace”. It has been said that you can only properly maintain stable social relationships with about 150 people at any one time (Dunbar’s number). So perhaps those who follow and are followed by about 150 select tweeps have got it just right. However, I am not really aware of individual lawyers in the UK attempting to use Twitter in this way. If there are any they must be far and few between. That is more the preserve of the corporate law firm Twitter accounts which often lack personality and/or engagement and as a result usually gain very few followers. On the whole individual lawyers on Twitter do engage and inform. Indeed there are now so many doing this well that it would be an almost impossible task to list them all for fear of accidentally missing one or two out. Another UK Twegal with over 3,500 followers who should have been included in any objective list of Twegals by follower number is Suzanne Dibble (@law4mumpreneurs) with 3,917 followers. David Allen Green on 11/10/2011 at 8:34 am. Oh dear, Brian, oh dear. Brian Inkster on 12/10/2011 at 5:19 pm. Jon Dickins on 11/10/2011 at 9:04 am. Don’t forget Wales either…but I’ve been exiled in London for over 20 years and only have a couple of hundred followers so I’ll crawl back under my still-just-about- Celtic stone and look forward instead to Saturday’s semi-final of that tournament England and Scotland might have been involved in a while back! Brian Inkster on 12/10/2011 at 5:26 pm. When I did the UK Blawg RoundUp #6 I only managed to find one Welsh Blawger/Twegal. That was Richard Moorhead (@RichardMoorhead). There may be more by now or he may still top a list of one! If you have a couple of hundred followers you may be managing the perfect Dunbar list. That could be the ideal way to Tweet. Peninsulawyer on 11/10/2011 at 9:06 am. I have to say that I am pretty much letting all these “survey / rankings” type articles pass me by. The reality is that people (including lawyers) are on Twitter for any number of different reasons – provided they are getting what they need out of it and enjoying the experience then I’m not sure the rankings matter that much. Certainly no excuse for excluding Scotland (or indeed for you modestly excluding yourself as I think you are over the magic 3,500)! Brian Inkster on 12/10/2011 at 5:34 pm. That ‘magic’ 3,500 has I think become 5,000 (I am well below that). No doubt in a year or two it will be 10,000. But followers can be created (even bought I believe!) and I think we will all really find our own Dunbar list within however many we are following and how we engage with that Dunbar list will be the key to Social Media success. The actual follower number will be an irrelevant statistic. Mark Lee on 11/10/2011 at 9:54 am. As you note in a couple of places Brian, follower numbers are NOT indicative of whether someone is a top tweeter. It is far too easy to game the system and to follow loads of people who follow back but don’t read your tweets. They aren’t really interested – they are just playing a numbers game. This is part of the reason for the rise of tools like Klout. Whilst not perfect it does at least go beyond simply counting the relatively meaningless follower numbers. Brian Inkster on 12/10/2011 at 5:37 pm. I agree. A well selected Dunbar following could serve you much better than a large irrelevant following. Steve Williams on 11/10/2011 at 10:12 am. I find it quite funny, only lawyers would do this. Can you imagine accountants etc doing this. I think it’s a case of lawyers being so amazed that they have approached the 21st century that they want to brag about it! It seems to me that there are various groups of lawyers on twitter, there is the early entrants like most people in here and we tend to talk to each other, there is also the group David Allen mentioned and recently a group of criminal lawyers, no doubt many others. There is some overlap of course and people are more inclined to think of the people that they talk to on a regular basis when compiling a list. It’s just a pity that the Lawyer prints these sort of things as being an accurate reflection rather than a personal opinion. Brian Inkster on 12/10/2011 at 5:40 pm. Yes… often these are really simply Follow Friday lists dressed up as something more significant. David Allen Green on 11/10/2011 at 8:54 pm. Brian Inkster on 12/10/2011 at 11:00 pm. Hmm… Nowhere did you say that there may be others (not mentioned by you) that had as many followers as the 9 you listed. The headline was ‘The UK’s Top Legal Tweeters in October 2011’ although I note that since my post was published The Lawyer has edited this to ‘The UK’s Top Legal Tweeters in October 2011: A personal view’! You also refer to “a look at the current leading UK individual legal tweeters – the nine or so with more than 3,500 followers”. You then go on to say “The UK legal tweeters currently with the most followers turn out to be a mixed bunch”. You do not qualify this in any way. Looks very much like a reference to a top 9 to me. You say in your latest Jack of Kent post: “There was one glaring omission (my own account) which really should have implied to anyone with an interest in legal tweeting (and a sense of humour) that my selection of nine was not complete.” Perhaps it would have implied the tenth in ten. However, most readers of The Lawyer are probably not even on Twitter and would not have known that you had a high follower count. This would have been lost on them as would the fact that other individual lawyers may have existed who also had follower counts in excess of the 3,500 figure that you decided to draw your analysis from. This is where your article was particularly misleading (i.e. to readers who are novices or know little or nothing about Twitter). Those in the know would on the whole have simply dismissed the article as being erroneous. I understand that it was your first article as “media correspondent of The Lawyer”. This title is given to you in the credits and appears in your Twitter Bio. Surely that means you are writing for The Lawyer! To suggest otherwise appears bizarre. The person who really should be saying “oh dear. oh dear” is Editor of The Lawyer, Catrin Griffiths, as she sees The Lawyer put its foot in it yet again with a ‘Top Legal’ Twitter article. Perhaps she has already given that the headline to the article was hastily amended to “a personal view”. Is this The Lawyer distancing itself from the article I wonder. Steven Mather on 11/10/2011 at 10:21 pm. I’m thinking of suing because @smather21 was omitted from ALL lists. Brian Inkster on 12/10/2011 at 11:04 pm. Johnston Neill on 11/10/2011 at 10:35 pm. Why does Brian Inkster seem to think using Twitter is a competition? That is where his post fails….. 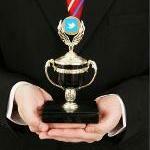 I certainly don’t think Twitter is a competition. Quite the contrary. Twitter should be used by individual lawyers as they see fit. No rules and who is to say that there are any winners. This post is about others creating competitive lists and doing so wrongly. I am simply pointing out that if you are going to create lists, and I do not think there is any need to do so, then at least try to get it right and not mislead others. Steve Williams on 11/10/2011 at 10:55 pm. Steven Mather on 12/10/2011 at 6:51 am. Steve Williams on 11/10/2011 at 10:56 pm. Rod S on 13/10/2011 at 11:56 pm. Surely this is not purely about numbers, but about influence. That is, the people who are most influencial – as David alluded to in his article – do not necessarily have the largest followings….or for that matter the biggest bruised egos. Brian Inkster on 29/10/2011 at 7:38 pm. I agree that numbers are fairly irrelevant. It is not how big your following is but how you use that following. How you engage with them. Many tweeps with large followings do not follow many of those back and only engage with a very small number. They seem interested in having a large following (perhaps for egotistical reasons) but not reciprocating. Basing a ‘top list’ on follower numbers is misconceived but if you must create such a list, and I don’t believe you need to, then at least try to get it right.